Flynn|Wirkus|Young sponsored the Third Annual Black-Red Westfield High School Alumni Lacrosse game on Friday, June 26, 2015 at Westfield High School. Pre-game began at 5:30 with face-off starting at 6:15pm. A group of alumni, headed up by FWY partner Mike Flynn (Westfield High School Class of ’83) faced off against the current Westfield High School varsity squad. 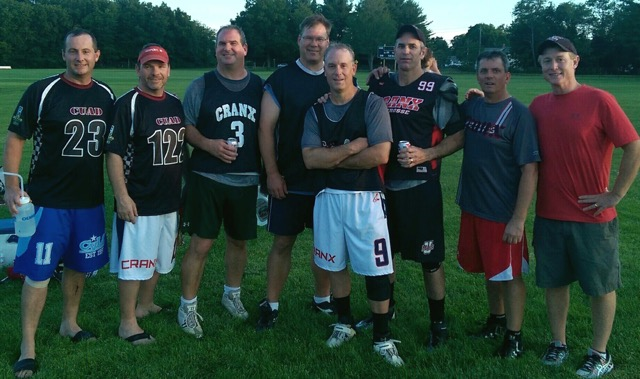 While the seasoned alumni came up just short of the win against the younger and (possibly) more agile varsity players, it was great event and donations to the Westfield High School Lacrosse Booster Club were gladly accepted. FWY is committed to sponsoring events like this which are important in supporting the communities we serve and which also pay tribute to the institutions and experiences that made us what we are today. The challenge will likely be on again next summer so look for an announcement for the 2016 Rusty Cup rematch!